Sir: You are hereby authorized to raise and recruit a Company Squadron of Volunteer Cavalry under the provisions of General Order No. 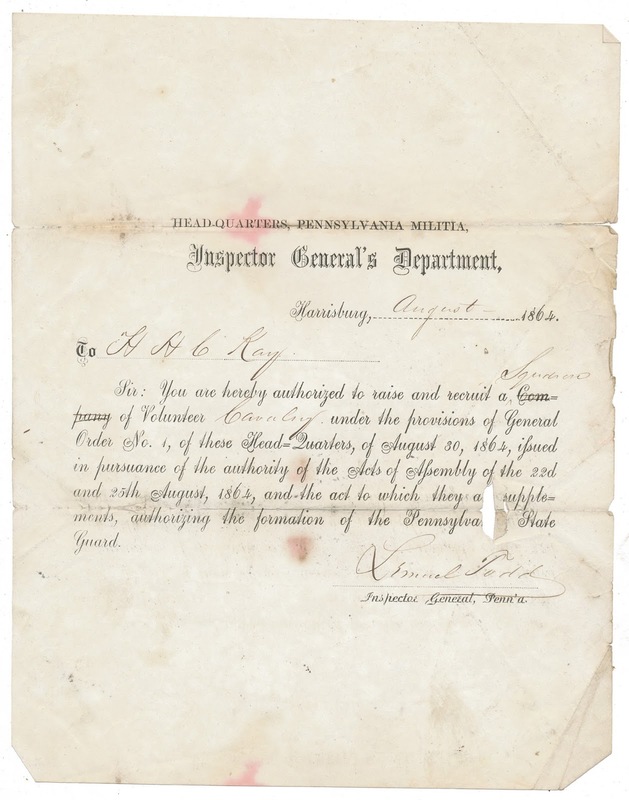 1, of these Head-quarters, of August 30, 1864, issued in pursuance of the authority of the Acts of Assembly of the 22nd and 25th August, 1864, and the act to which they are supplements, authorizing the formation of the Pennsylvania State Guard. The signature is from Lemuel Todd, then inspector general of Pennsylvania, and a congressman both before (1855-57) and after (1873-75) the war.